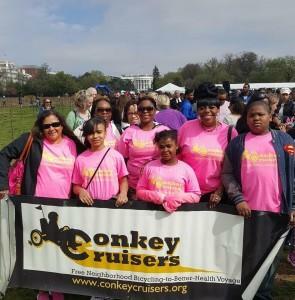 As Conkey Cruisers celebrates the completion of its fifth season, the founder of the grassroots neighborhood bicycling program has big ideas for the future. Registered nurse Theresa Bowick has inspired 845 people, young and old, to ride over 20,000 miles since 2012 on Rochester's El Camino Trail, other parts of the city and beyond. "I think we have raised the awareness of cycling in Rochester beyond the traditional cyclist, and that we basically have made a statement that anybody can cycle,” she said. “This is not a middle-aged white man's sport." Participants in the program have reported weight loss, lower blood pressure, improved cardiac health, and other improvements. Bowick sees bicycling as a path not only to good health, but a means of transportation and vehicle out of poverty. The goal for Conkey Cruisers in the next five years is to create a space where people can bicycle 12 months out of the year. Bowick envisions an indoor bicycling park and hopes to find a site for one within two years. "There are a number bicycling parks around the country, but many of them are more of a BMX -the ramp-style bicycling. That's not my ideal of what I want for Rochester. I want an indoor park where families can come year round and get their kids and ride their bicycles as if they were outdoors in a park."